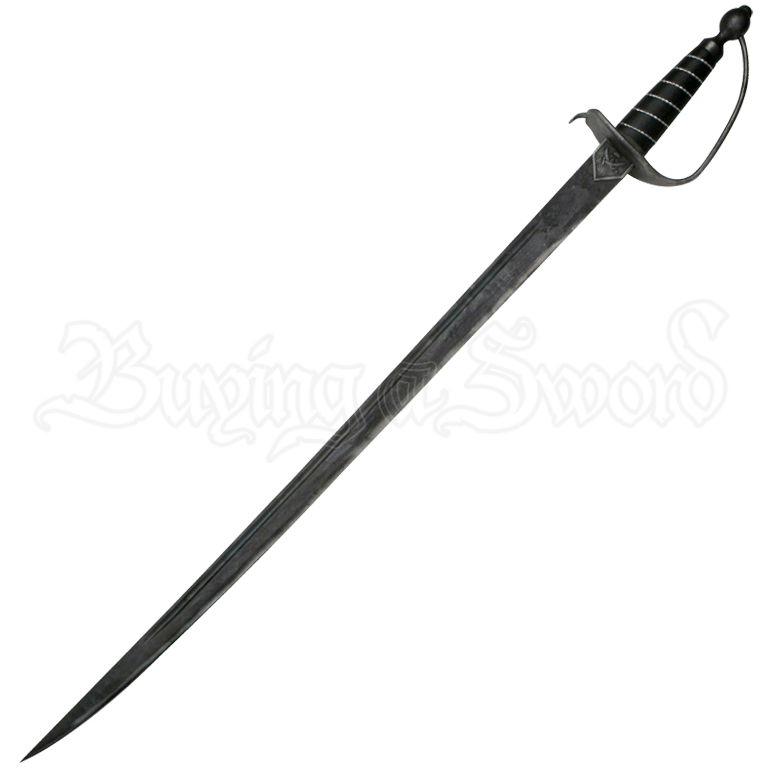 Pirates who lack something that would elevate them from simple buccaneer to gentleman-thief on the high seas should check out the Silver Pirate Saber, a well-used but well-loved swashbucklers blade. The blade is burnished and dark with an antique finish that only enhances the look of a blade that has been shown great care. Emblazoned on the metal-plated ricasso is a pair of crossed sabers, adding a modicum of decoration to the weapon. The guard has the look of rugged simplicity, making it the weapon of not only a pirate who cared about his appearance, but also wanted a fully functional sword guard. This Silver Pirate Saber is sure to add the touch of panache that any gentleman or gentlewoman-pirate needs to complete his or her ensemble.